Going through a divorce can be a challenging and traumatic experience, especially if you have shared assets, children and joint bank accounts. In some cases, people going through divorces can reach agreements without having to involve lawyers. Unfortunately, in cases where the wellbeing of children is a concern and people can’t agree on who gets what, hiring a lawyer is a necessity. 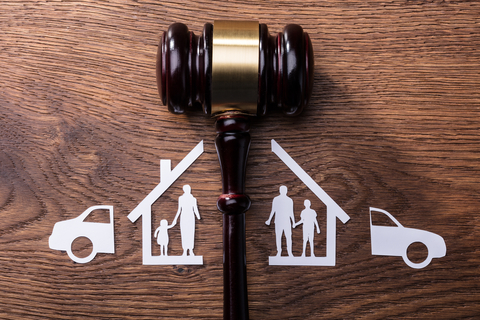 Fortunately, a lawyer can make the challenging process of divorce more straightforward by helping you understand your rights while guiding you through the legal landscape. Family lawyers can represent you in court if required or help you reach settlements outside of court to save time, money, effort and heartache. However, even though you’re going through a tough period, you need to do your homework before deciding which family lawyer to hire. Some lawyers are just out for profit while others really do prioritise your best interests. You might want to compare a range of attorneys specialising in family law in Adelaide before deciding who to hire. However, you need to keep the following considerations in mind when narrowing down your options. Needless to say, you need to check the credentials of any lawyer you’re considering hiring. You might want to find out which school your potential lawyer was educated at and how experienced they are in dealing with cases similar to yours. A lawyer fresh out of university might just be a genius, but you’re probably better off choosing a lawyer that has years of experience regarding family law. If you find a lawyer that has been operating successfully for decades, you can feel confident that they’re doing something right. Divorces can be expensive, meaning you need to find a lawyer who isn’t going to drain your bank account. However, don’t assume opting for the cheapest law firm you can find will be what’s best for your finances in the long run. Choose a lawyer that offers high-value prices for a high-quality service. One of the easiest ways to find out whether a lawyer is worth their cost is to read their customer reviews and testimonials. Nowadays, you can find reviews on just about any law firm using the internet, and they’ll give you an invaluable insight into a company’s level of professionalism. You need to determine whether or not your lawyer is going to be able to give your case the care and attention it needs. The last thing you want to do is hire a lawyer that simply takes on as many cases as possible to maximise their profits. Such lawyers probably won’t be able to secure the best outcome for you. Remember – you might want to compare various law firms to gauge average prices, but checking out reviews and asking as many questions as possible comes highly recommended. Remember the tips detailed above, and you should be able to find a lawyer that will prioritise your best interests.